You hit the button on the opener, yet your garage door doesn’t move. Or maybe you noticed that one of the panels on the door has become loose or damaged. At Action Garage Door, we have been providing quality garage door repair in Piney Point Village for more than 30 years. We can quickly resolve your issues so you can enjoy the comfort and convenience of a properly working door again. 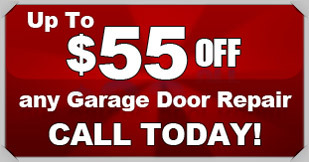 When you need garage door repair Piney Point Village, think Action Garage Door. As a garage door repair company that is committed to customer satisfaction, nobody beats Action Garage Door. Our family-owned business has been satisfying customers for 30 years and we are waiting to help you find the services you need for your garage door in Piney Point Village. We install doors built to withstand tough weather conditions and perform all our work in compliance with local codes. If your door have suffered sufficient damage, it may be more efficient to replace it than repair it. We offer new garage door installation, and each of the projects we do is up to building codes in Piney Point Village. Sometimes, it is necessary to get a door fixed as soon as possible. Damaged panels or a door that will not close can leave your home or business susceptible to theft. Additionally, summers and winters in Piney Point Village can call for cooling or heating needs, and sturdy garage doors can ensure your space is properly insulated and protected from the elements. At Action Garage door, we provide emergency garage door repair. One of our technicians can be at your location within an hour in order to make the necessary fixes and give you peace of mind. We believe in doing work that is meant to last, which is why our team at Action Garage Door relies on high-quality products and craftsmanship to get the job done. If you are in need of garage door repair in Piney Point Village, please call us to schedule an appointment today or contact us online.